Join a supportive community of writers to deepen your poetry writing practice and hone your skills. Join a supportive community of women writers; get the supports you need to write the work you’ve been wanting to write. 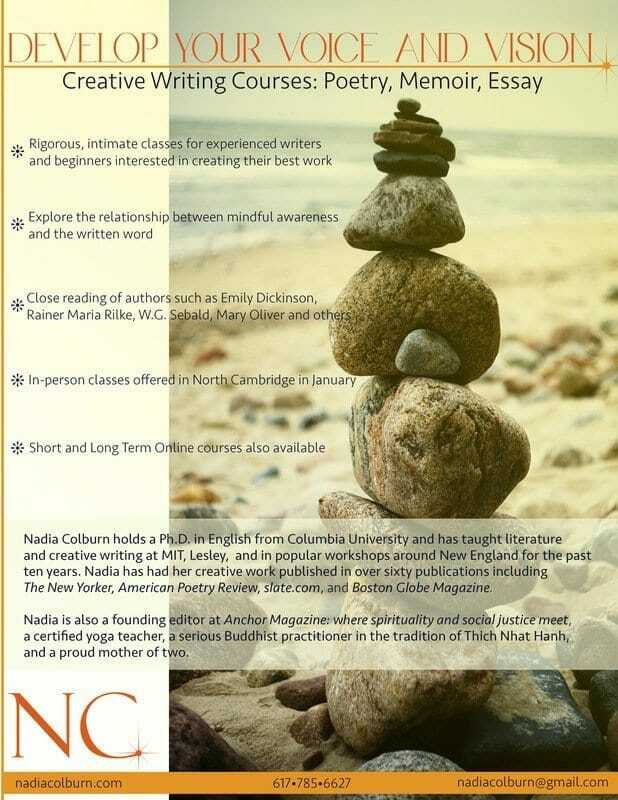 My most robust offering: online with community and more; get clear on your story, put your best work on the page, and come into new clarity, insight, creativity and power. Daylong workshop to come into greater clarity, wellbeing and insight with our stories in our minds and bodies, on and off the page. Yoga classes often tell us to drop our story, but we can only successfully drop the parts of our story that are not serving us if we first learn to listen to ourselves. We can use yoga class to tune into what is happening in our bodies and the messages that are coming up so that we can listen more attentively, release emotional and physical blocks, clear out what is no longer needed, and find new pathways and stories for healing and growth. Come be renewed with rest and gentle movement, mindfulness practices, quiet and sharing to re-awaken the creative energy of spring during this overnight retreat. Spring is a time of transition and new growth. This workshop steps into the new energy of spring by helping you detox your system and build new strength. The course will use both Hatha and Kundalini yoga to work with your body’s natural energy system, rinse out what is no longer serving you, and tap into your corse strength, the seat of your creativity and your ability to manifest. When you enroll in the class you have immediate and life-time access to the online material and to the community. 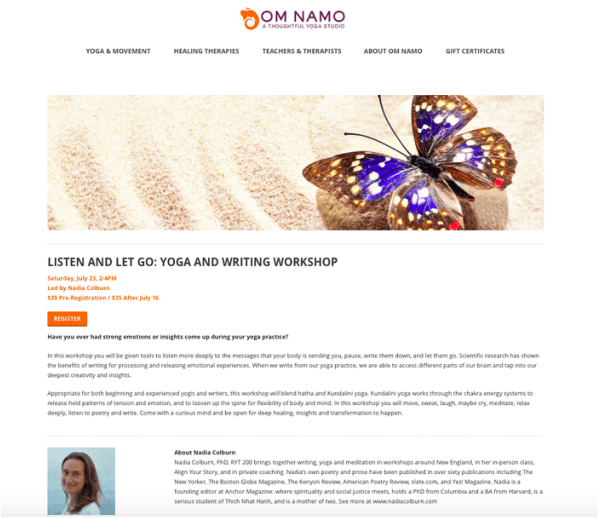 Writing, yoga and meditation course to get through blocks, integrate mind body and spirit and give you tools to write what you want—and need—to write. Poetry and Creative Writing Groups. Monday mornings and afternoons. This class is for anyone who wants to bring their writing to the next level in a supportive community. Small class sizes allow for much individualized attention. We will workshop, read, and write together. *Reach out to me for details and to reserve a spot. Classes will fill fast. Ask the big questions of what is required of us to model peace and justice in our world now and explore the sacred work of healing within social change movements. Writing often asks us to be our most vulnerable and our most courageous. 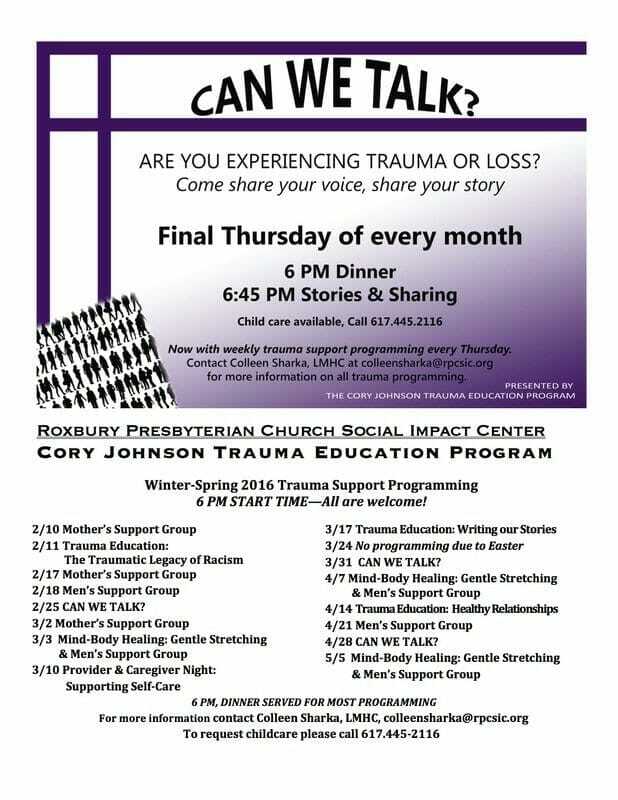 In this workshop, we’ll read examples in a variety of forms (poetry, memoir, essays, fiction) that go to deeply vulnerable places, and then explore effective strategies that writers use to turn vulnerability into strong pieces of writing. There will be time for writing, revision and discussion. To greet the new year with clarity and courage, we’ll practice with yoga and writing. Designed for yogis and writers of all levels of experience, the class will invite you into your own deep truth and to align with sacred, universal truth. Come ready to sweat, chant, write, relax deeply and more. 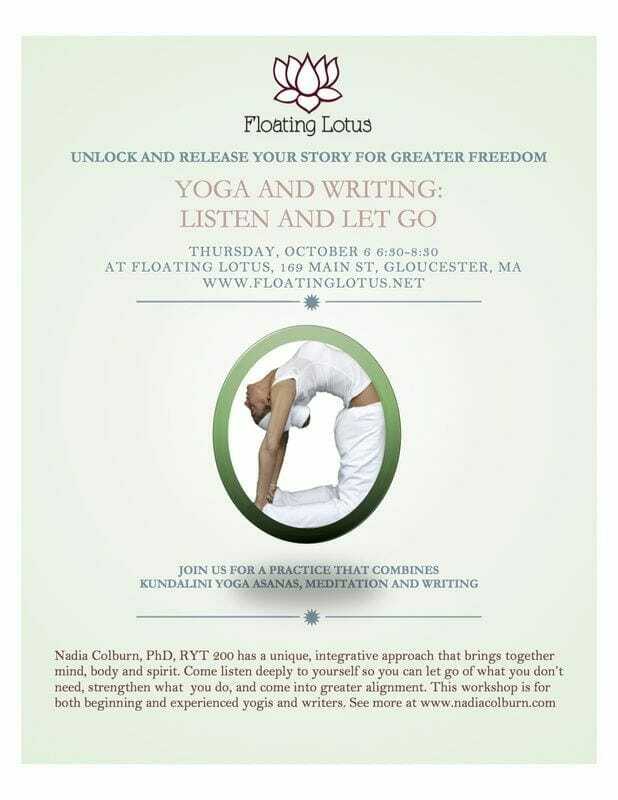 Treat yourself to a full weekend retreat of self care, integration and growth with writing, yoga and meditation. I’ll be reading my own poems and leading the audience in some writing exercises. A day long retreat to address living in difficult times with more equanimity and engagement. I’m very excited to be offering this afternoon session with therapist Jessica Ronalds to deep healing and clearing work for women to start spring with our full vitality. Is part of you looking for something more? Do you get inklings that haven’t been able to pay attention to?The world is pulling you in a hundred different directions,and you often feel spent, but you are ready to live with more authenticity, agency and power. In this workshop, we’ll use meditation, some easy writing exercises, conversation and simple movements to come back into our centers, re-align our bodies, minds and spirits, and remember who we really are. Come move your body and work with your energetic systems to become more flexible, sweat, and relax. In the process, you will be given the opportunity and tools to listen deeply to yourself, enter into dialogue with your body, create and let go. 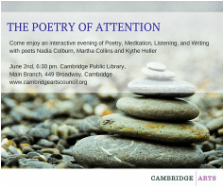 Hosted by the Cambridge Poetry Ambassador Program. Monday morning poetry workshop who also wrote poems to accompany the music in the concert.